British amateur champion Garrick Porteous has turned professional on the back of his appearance at the Masters. 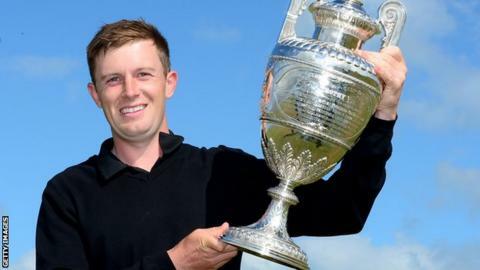 The 24-year-old from Northumberland won the 2013 Amateur Championship to qualify for the Open that year and this year's Masters and US Open. His missed the cut at Augusta after a first-round 76 was followed by an 80. "It was a huge honour to play my final event as an amateur at the Masters but I am so excited to be finally turning pro," said Porteous. He will make his professional debut in Kuala Lumpur at the Maybank Malaysian Open, which gets under way on Thursday. "I feel ready and cannot wait for the challenges that lie ahead," added Porteous.